To many eyes, this book might seem strange. The reason being is that the Battle of Waterloo is almost a footnote in it. As a matter of fact, it only takes up ten pages of the book's 570+. Many of us have heard over and over about the Imperial Guard's last battle and what happened (or didn't). We seem to forget that the Guard came from Napoleon's original consular Guard long before he crowned himself Emperor. So this book fills a large void in most peoples' shelves about the entire history of the Imperial Guard's existence. This book shows the history of the Imperial Guard from its inception, and continues through the different campaigns it fought in. From the heat of Spain to the snows of Russia, the Imperial Guard was the rock that most, if not all, of the rest of the Imperial Armies relied upon. The book itself is filled with tons of black and white, and a few colored pictures to show the Imperial Guard and all of the Generals etc. that come up in its glorious history. It is also filled with anecdotes and quotes that you will find nowhere else. Napoleon speaking to a grenadier on guard duty before Austerlitz said "Those chaps across the way think they have nothing to do but gobble us up'" The grenadier replied "we'll serve 'em the meal the other way round". Battle stories like these are aplenty, but the book also shows what the Guard did in peace time. The history of the Imperial Guard is really the history of the actual men of the Guard. One, Lieutenant Markiewicz of the Polish Light-Horse lived in three centuries. Born in 1794, he fought in the Russian campaign, was decorated in 1813, and was still alive in 1902. Napoleon III based his tainted Imperial splendor on his famous uncle, and he based his Army on a new Imperial Guard that was only a shadow of the first one. These men ate and slept near Napoleon. The earned the title 'Grognard' (grumbler) from being outspoken in his presence. Many he knew by name and remembered where they had fought together. For more than a decade, the bearskin hats of the Imperial Guard struck fear in its enemies. Only two days before Waterloo, the Imperial Guard was used in its role as a finisher of battles by smashing through the Prussians at Ligny. This was unfortunately to be its last victory. This book was actually first published in 1961. Thank you Frontline-Books for bringing this classic back into print. It is a work that is monumental in scope. 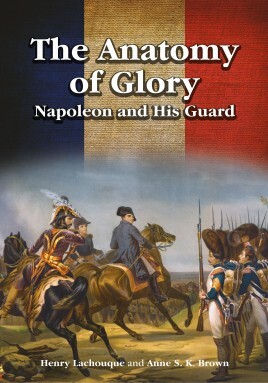 It is a must have for anyone interested in the Napoleonic era to have on their shelf. Great topic, I always thought about the guard like a last ditch reserve that was seldom used but when I readed the classic of David Chandler, Napoleon campaign's, I read how important it was, not only in Waterloo and the retreat from Moscow, but as a keystone on the Grande Armee. This is a most read. Noted.